Answer Fitness® > Ask The Fitness Nerd > How Many Calories Should I Eat To Lose Weight? Great question, Madison. How many calories you should eat to maintain, gain or lose weight is one of those fitness and nutrition fundamentals that is pretty easy to figure out, once you know how to go at it. The simple answer is that most females can lose weight by reducing their calories to around 1500 a day and males, to around 2000 calories a day. But this isnt a very scientific, nor particularly effective, method of determining how many calories you should eat each day to lose weight. Taking a one-size-fits-all approach doesnt take into account a persons weight, height, age and activity levels which can all impact how many calories you should eat each day. And taking this approach can also cost you muscle, which you always want to try to spare. A much better approach is to calculate your own specific calorie requirements, and use that to determine how many calories you should consume to lose weight. While there are all kind of theories out there about tactics to lose weight that dont necessarily involve calorie-counting (for example, changing your carbohydrate, protein and fat intake ratios like on the South Beach or Ketogenic diets), at the end of the day, the best place to always start is with calorie-in, calorie-out. Yes, changing your macro-nutrient mix can help for some people, but this violates the 80-20 rule: Focus 80% of your effort on the 20% of tactics that get you the best results. Once youve done that, you can try other approaches to shave off those last few pounds. For most people, controlling how many calories they eat will produce 80% of their weight loss results. The good news is that figuring out how many calories you should eat to lose weight isnt terribly hard all youll need is bathroom scale, a pen, piece of paper and a connection to the Internet. By the time you are done, youll have a pretty good idea of exactly how many calories you should be eating each day to hit your weight loss and fat loss goals. However, before we get started, its important to understand a couple of terms, including what a calorie is, something called your Basal Metabolic Rate (or BMR or resting metabolic rate) and your Total Daily Energy Expenditure (TDEE.) This will help you make more sense of the discussion going forward. A calorie is simply a unit of energy. If you think back to Middle School science class, youll remember that a calorie is the amount of heat released when a food is burned. Scientifically, its measured as the amount of heat needed to raise the temperature of 1 gram of water 1 °C. Since adopting the metrics system, the calorie has been replaced with the joule in many countries (and in science) but for most nutritional labeling in the U.S., the Calorie is still the standard metric for energy in food. In terms of the body and food energy, a calorie is just a measure of the amount of energy released from food during digestion. Only carbohydrates, fiber, fats, protein, organic acids, polyols and ethanol (alcohol) contain calories. All foods are made up of these macro-nutrients. All other foods not containing these macro-nutrients are considered non-caloric things like teas and coffees (provided you arent adding sugar or cream), water, most spices, vitamins and minerals, zero calorie artificial sweeteners like Sucralose or natural sweeteners like Stevia as well as other substances present in food like enzymes and antioxidants. Functionally, when you eat foods that contain calories, energy is released to the body to assist in powering your basic bodily functions like breathing, keeping your heart beating, digestion, reproduction and cellular repair. 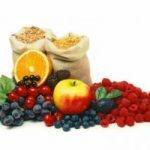 Energy from food is also used to repair tissue, assist in basic cellular functions, power the brain and to help you move around during the day whether that is exercising, walking to your car or typing at the computer. If you dont get enough calories, you will lose weight but if your calories are too low for an extended period of time, these basic functions will also suffer. If you eat just enough calories, youll be able to meet your daily energy needs and maintain your current weight. If you drop calories slightly, youll lose weight but not enough to interfere with the work of the body. Your Basal Metabolic Rate (BMR) represents the minimum amount of calories or energy from food that your body requires each day to fuel your basic bodily functions. It does not include extra calories you need to perform daily activities. You should view your Basal Metabolic Rate as the minimum amount of gas you need to put in your tank each day to stay healthy. Your BMR does not take into account the amount of activity you perform on top of breathing, thinking, pumping blood and digesting food. Its really just representative of the amount of food you need to eat just to stay alive, at rest. When you think about how many calories you should eat to lose weight, you want to also consider how many calories you should eat just to stay alive and healthy. Typically, that will no less than 1,000 calories which is why you hear the idea that you shouldnt eat less than 1000 calories a day bandied about. Measuring BMR usually involves the use of tests in a very controlled environment where you are awake, but completely at rest. However, it is possible to estimate BMR (also known as Resting Metabolic Rate or RMR) based on gender, age, height and your current weight. Your Basal Metabolic Rate will typically account for 60-75 percent of your daily calorie expenditure. The remaining calorie-expenditure will come from activities and exercise. Everyone has different lifestyles and levels of activities. The amount of calories that an Olympic Swimmer needs each day is much higher than a couch potato or even weekend runner. Your Total Daily Energy Expenditure (TDEE) basically takes your BMR and then adjusts it based on your daily activity levels. If you have a desk job and dont exercise much, your TDEE will be lower than a construction worker who does a lot of physical labor as part of his or her job, or your cube-mate who does the same thing as you at the office, but is training for a marathon each night. Determining your BMR lets you set a baseline for what you need to consume each day to stay alive. Once you have that, you then need to take into account how much activity you perform each day, and add those calories into the BMR to get your TDEE. This will then give you an idea of how many calories you need to eat each day just to maintain your current weight. Once you know that, you can then adjust your calories down (or activity up) to lose weight. The first step is to determine how many calories you need to eat each day just to maintain your current weight (based on your BMR and TDEE.) Once youve done that, you can then subtract calories to hit your weight and fat loss goals. Online using one of the many calorie calculators available, which typically use the Harris-Benedict formula, but do the calculations for you. Ill show you how to do both, although using an online calorie calculator is the easiest, and will generally give you similar results to calculating your BMR and TDEE manually. Using an online calorie calculator is the easiest, fastest way to determine how many calories you should eat to lose weight. Step One: On a piece of paper, write down your gender, age, current scale weight and height. Step Two: Go to this calculator from the Mayo Clinic and plug in your numbers. Choose your activity level and write down your results on a piece of paper. This is your BMR adjusted for daily activities, or Total Daily Energy Expenditure. If you like numbers and are interested in exactly how BMR is calculated, you can try manually calculating your BMR and TDEE using the Harris-Benedict formula. A calculator comes in handy here. Now, we just need to adjust the BMR for his activity level, which is moderately active. To do that, take the BMR number (1857.5) and multiply it by the activity factor, which is this case is 1.55. This represents the estimated amount of calories he has to eat each day to maintain his current weight, based on his BMR and activity levels. Now that you know your BMR and TDEE, its time to figure out how many calories you should eat each day below your TDEE in order to lose body fat. A pound of fat contains about 3500 calories. So if you want to lose 1 lb of fat per week, you need to create anaverage calorie deficit of 3500 calories per week below your TDEE. Remember, were not talking about reducing your calories 3500 a day. Rather, for the scenario above, you would spread that out over seven days, which would equal a 500 calorie deficit each day. This is generally pretty attainable for most people. Which Approach To Weight Loss Should I Take? The method that you want to use to create your calorie deficit really depends on your schedule, goals and current diet. In general, the third option, where you reduce your calories slightly and increase your exercise levels is probably the most effective for most people. In scenario three, you would basically eat 250 less calories a day, and burn an additional 250 calories with exercise to arrive at a daily deficit of 500 calories below your TDEE. For most people, this would result in a loss of 1 lb of body fat a week. Option 3 is ideal, because it combines both exercise and diet modifications, which can improve overall fitness, increase metabolism and prevent you from feeling hungry. Its also easier for people to swallow (no pun intended), because you arent making dramatic cutbacks in the amount of food you eat. And trying to burn an extra 500 calories exclusively through exercise each day can be hard for people who have schedules that limit the amount of time they can spend in the gym. Just so you can understand exactly how this would work, lets take a look at another example. Sarah is 28, currently weighs 145 lbs and is 5 foot 5 inches. She is pretty inactive. She doesnt work out regularly and spends most of her day behind a desk. To maintain her current weight, Sarah needs to eat about 1750 calories a day (this is her TDEE). To lose one pound of fat a week, she needs to end the day at 1250 calories (1750-500=1250 calories), which means creating a daily calorie deficit of 500 calories below her TDEE. Any of these options will work, its really just a matter of what Sarah feels she can effectively commit to. What If I Want To Lose More Than a Pound A Week? Generally, you should aim for no more than 1-2.5 lbs of fat or weight loss a week. The more weight you try to lose in a short period of time, the more restrictive your diet has to become and/or the more exercise you have to perform. Also, the leaner you are, the more careful you want to be when it comes to creating dramatic calorie deficits especially anything that creates a calorie deficit of more than 1000 calories a day. Typically, this will result in accelerated loss of lean muscle mass, which is never a good thing. Likewise, the more body fat you have, the deeper you can cut into your TDEE. However, as you lose fat, youll need to adjust this. Studies have shown that people who lose weight more slowly are more successful at keeping it off for the long-haul. Also, losing fat and weight slowly reduces the chances that youll lose precious muscle mass along with the fat. Also, losing more than 2 lbs of fat a week can be very challenging from a diet and exercise perspective. To lose that much weight, you would have to create a daily calorie deficit of 1000 calories, which is very difficult to safely do with diet alone. The caveat here is that if your diet is currently full of lots of calorie dense foods, like soda, sweets, fast food, snacks and simple carbs, you could be overshooting your TDEE by as much as 1000 calories. Simply reducing those foods could result in fairly dramatic fat and weight loss. Adding some exercise in as well can speed that up. Consider tracking your food using one of the great, free online websites like SparkPeople, The Daily Plate or Fitday. All of these sites offer calculators for determining how many calories you need to eat to lose weight (or maintain and even gain weight.) These sites make it easy to keep track of your food and exercise and make sure you are hitting your goals. Learn how to substitute more-nutritionally dense, healthier foods for the junk food you might be used to eating. Again, getting soda, excess sugar and fast food out of your diet can trim off hundreds of empty calories a day with some basic adjustments to your diet. And because youll be replacing junk food with healthier alternatives, youll find you are less hungry than if you just try to cut calories across the board. Get moving.Burning an extra 200 calories a day isnt as difficult as it sounds. If you are sedentary or not as active as youd like to be, try finding little ways to burn a few extra calories here or there. This could include taking the stairs instead of elevators, getting up from your desk and walking around the office more, or even forcing yourself to walk more by parking your car farther from the building. An inexpensive digital pedometer is a great way to track all of those extra calories burned, which can add up quickly over the course of the day. Focus on reducing body fat levels, not just scale weight. Youve probably heard it before, but scale weight alone is not a good indicator of body composition. 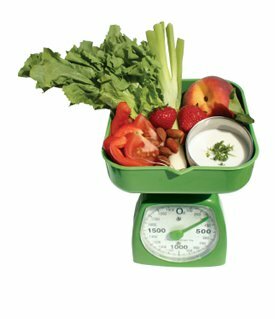 Its fine to use a scale to measure your progress, but use it in conjunction with inexpensive AccuMeasure body fat calipers, which will give you a much more accurate reading on whether you are losing body fat, versus muscle. By getting a real sense of how many calories you need to eat each day to hit your weight loss goals, keeping track of what you eat, cleaning up your diet and adding some exercise in, its actually fairly easy to make ongoing progress at reducing body fat and improving your overall fitness levels without resorting to fad diets or extreme calorie-restriction. Each month, Ill draw a name from all of the legitimate questions I receive and the winner will receive a $20 Under Armour eGift Card redeemable exclusively at http://www.underarmour.com/. I have been following a very low calorie dirt for several years. I am 5 feet tall and 22 years old. I cheered in college and we all had to weigh around 100. I am now not cheering but still workout hard 5 days per week. (example-82 flights of stairs on the stair master-3 miles on the elliptical and weights). I am now having a diffficult time with my weight. I am eating less that 1000 calories a day and know that is not enough but I when I eat more even up to 1200 I am gaining weight. I now weigh 115 and can not seem to get it down no matter how hard I workout and how little I eat. I want to eat more and when I do I gain weight. I want to be normal college and go out and eat but I usually dont because i gain weight. I only eat healthy foods-oatmeal for breakfast with skim milk-turkey lunch meat and clementine for lunch and a low calorie frozen meal for dinner, usually around 300 calories for the dinner meal. I will eat a yogurt for a snack after dinner and that is it. I think it runs around 800 calories a day. When I add more up to 1000 then I gain weight which is where i am right now. I had all kinds of blood tests to make sure everything was ok with thyroid and vitamin d and all was good. I am miserable and need help ut have found no on who can get me through this so I can live a normal life. Please advise I used the equation above and figured by calories a day to maintain should be 2058 and I have never eaten that many calories and cant even get close to it. Thank you for oyur help. Eat carbs 45 minutes before your workouts, so your body has enough glucose to use for your muscles; otherwise, your muscles will break down to feed themselves. Eat protein/carbs within 30 minutes after your workout. Thank you, this is one of the most comprehensive explanations I have found on how to best calculate the calorie requirements an individual would need to realistically reach his or her weight loss goal. So often dieting advice comes in a one size fits all package, but what works for one person will not necessarily work for the next. Your explanation on the distinction between the basal metabolic rate and total daily energy expenditure shows clearly why weight loss is different for each of us. Ive been working with a nutritionist on my diet because Ive gainned so much throughout the years. I found that at rest your body burns abt. 1000-1200 cal. So automatically you shld not fall below this amt. When you work out and say burn 500 cal. you should consume back the 500. Mathwise that would look like 1200 500 = 700. So you would eat 500 worth of calories to go back to 1200. If you dont your body will go into starvation mode and when you finally do eat the right amt of calories, your body will store the rest as fat. Which could be why you are gaining when you eat more calories. Make sure to eat nothing below 1200 a day and you should start losing weight. So, if I do pilates about 3 times a week and ride my bike for 30-45 minutes 3 times a week that probably means Im moderately active. I weigh 140 lbs., am 21 years old, female, and am 57. This means that my BMR is 1473.2 and my TDEE is 2283.46. This means if I want to lose 1.5 lbs a week, I have to cut 750 calories a day which would mean I need to eat 1533.46 calories a day to lose this much weight. If I stop exercising as much, do I need to rework all the equations? How long into not exercising should I do this? a week? My problem is that I am recovering from EDNOS, going from eating an average of 500 calories a day to about 1400 calories in the past week. I am expecting to gain weight at first, but will I start losing it according to this formula, or will I have to do something different? AHHH I NEED 2 LOOSE WEIGHT LIKE 10 LBS!!!!!!!!!!!! My BMR is 1279 and if I take 500 away I will completely starve. 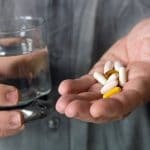 Even i would suggest madison to not try any pills out there to lose weight, i have seen many people out there who did lost some weight but after sometime they had some side effects like depression and violent behaviour.As matt said you need to check your TDEE and BMR to find the correct path for your weight loss goal. There is so much information out there about how to lose weight that sometimes it is hard to know which method to go with. Focus on calories or carbs, watch the sugars or fats. I dont know it is all very confusing. Thanks for the tips though. Im not sure how to say this, but burning calorie is best when you do interval training exercise.